Are you preparing for your physical inventory counts? This is more than a compliance chore. 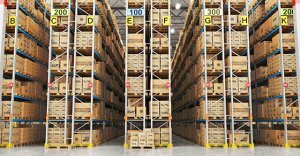 Companies that are proactive use inventory as an opportunity to improve efficiency. If your company converts raw materials into finished goods available for sale estimating the value of inventory may involve subjective judgment calls. The value of work-in-progress inventory can be especially hard to assess. Because it includes overhead allocations and, in some cases, may require percentage-of-completion assessments. Because a physical count gives a snapshot of how much inventory your company has on hand at year-end. A manufacturing plant might need to count what’s on its warehouse shelves, on the shop floor and shipping dock, on consignment, at the repair shop, at remote or public warehouses, and in transit from suppliers and between company locations. Creating pre-numbered tags that identify the part number and location. Leaving space to add the quantity and person who performed the count. See how many workers you need to schedule by conducting a dry run a few days before the count. This helps identify potential roadblocks. Inventory is generally counted during off-hours to minimize the disruption to business operations. But it is essential that you freeze operations while counting. If your company issues audited financial statements, one or more members of your external audit team will be present during your physical inventory count. They aren’t there to help you count. Instead, they’ll observe the procedures, review written rocesses, evaluate internal controls, and perform independent counts to compare to your inventory listing and counts made by your employees. Be ready to provide auditors with invoices and shipping/receiving reports. They review these documents to evaluate cutoff procedures for year-end deliveries and confirm the values reported on your inventory listing. When it comes to physical inventory counts, our auditors have seen the best (and worst) practices over the years. For more information on how to perform an effective inventory count, contact Reggie Novak, CPA at 216-831-7171 or by email here.